Turtle Bay Services Ltd - Watamu Marine Association. 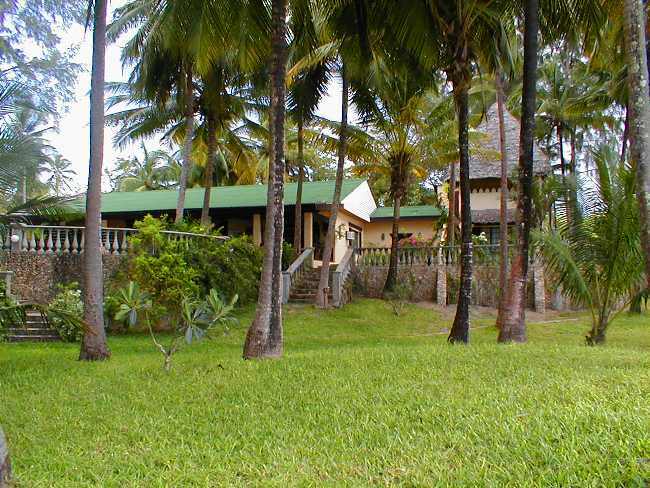 This 3 storey, 5 bedroom house is located on the beach south side of Watamu. The top 2 floors have a surrounding balcony, 4 metres deep on the seaside. 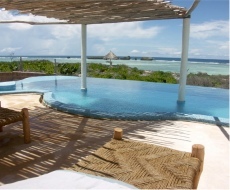 The stunning view from the top floor overlooks the Indian Ocean on one side and the channel to Mida Creek on the other. The ground floor has an ensuite air-conditioned bedroom, the middle floor 3 double rooms, one of which is ensuite while the ensuite master bedroom is located on the top floor. The swimming pool comes with a bar and barbecue area and beautiful garden furniture. The Bay house is staffed with a manservant/cook, gardener/pool attendant and an askari. Maximum â€“ 10 people. 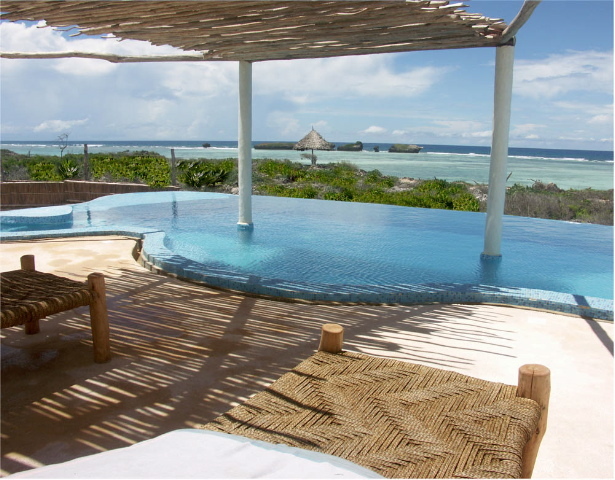 This stunning local style home is situated on a cliff top overlooking panoramic views of the Indian Ocean. Thoughtfully designed by its owners it is low impact in keeping with the natural beauty of its surroundings. The entire house is situated so that you have unfettered views of the ocean from all angles and watch the sun rise on the horizon. Access to the beach can be gained through a stone stairwell carved out of the rock. Or relax in the designer infinity swimming pool. The house has an experienced international chef and is staffed with cleaners and an askari. Maximum 6 people. This is a beautiful house with lovely furnishings that make it the ideal holiday home. This 6-bedroom house has a large swimming pool set in a palm tree garden looking out to sea. The beach is less than 100 metres away. The bedrooms are ensuite, 4 double rooms, 2 twin rooms, with 5 of them fully air conditioned, while the 6th room is completely open with mosquito netting. Overlooking the swimming pool is a large covered sitting and dining area, leading to an indoor sitting room. The house has 2 cooks, 2 cleaners, gardener/pool attendant and an askari. Maximum â€“ 12 people. 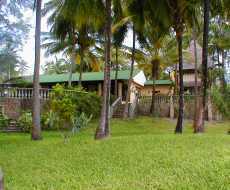 This cottage is found close to Watamu Village and is a short walk to the village centre and the beach. It is in a secure walled compound with a lockable gate. There are 2 ensuite bedrooms available for use, with ceiling fans and mosquito netting. These spacious rooms also have ample wardrobe space. There is a large veranda for dining and relaxing, living room and well stocked kitchen. The house has a gardener. Arrangements can be made for a cook at an additional fee. Maximum â€“ 4 people.